Improving the employee experience seems to be on the minds of just about all of our clients these days. We agree with them that there is no time like the present to pay close attention to the daily work lives of their employees. But because so many companies are new to this EX focus, they naturally want to know how other companies are tackling this topic. And so we get asked all the time: Who is responsible for employee experience? What are their titles, budgets, team sizes, and responsibilities? 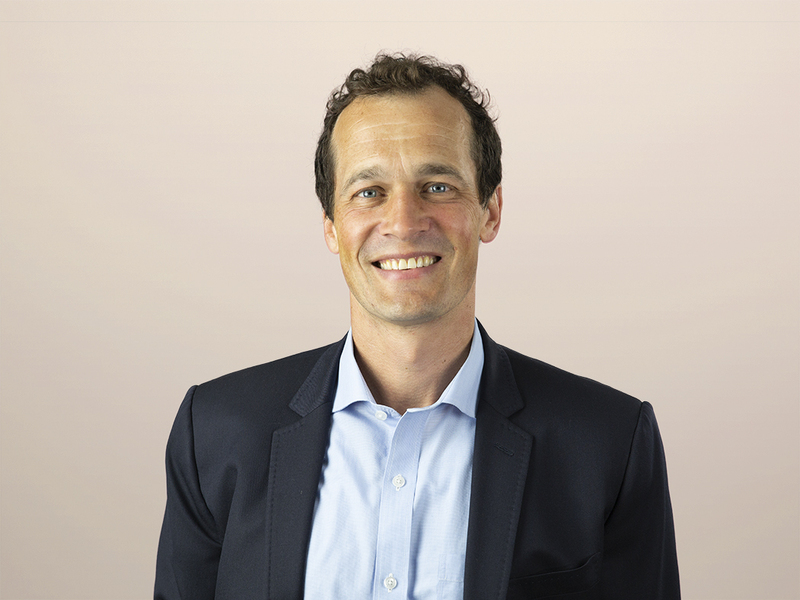 We aim to please at Forrester, so we surveyed and interviewed dozens of EX leaders to get answers to our clients’ questions and help them with their efforts to benchmark their own EX initiatives. Ownership for EX is distributed and makes us think of flowers. We asked survey respondents which department is most responsible for EX at their companies. HR was the most common answer but was given by less than 30% of respondents. The diversity of answers did not surprise us. 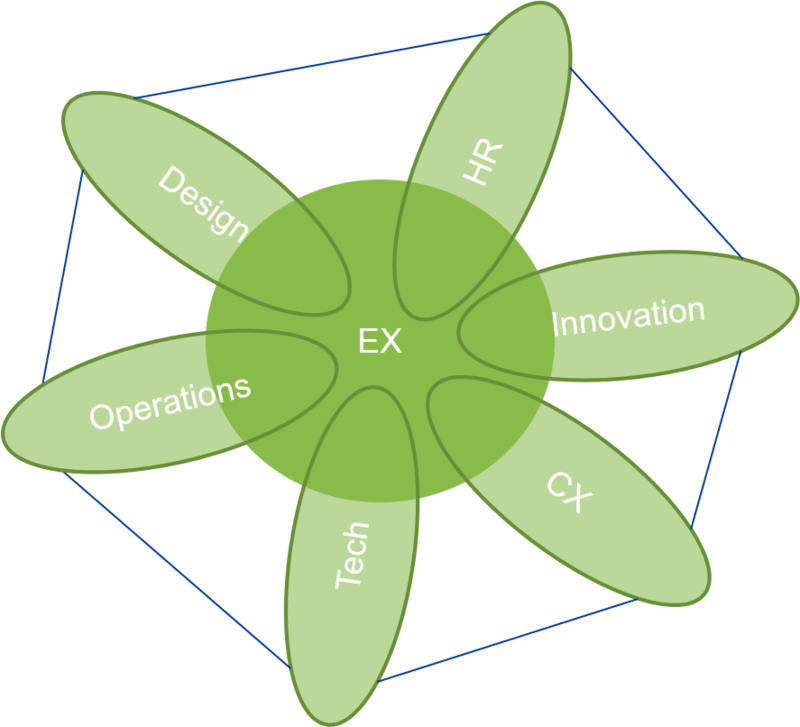 The breadth of departments involved in employee experience means that there are many reasonable departmental answers to the question of “Who owns EX?” In fact, we visualize this in what we call our “EX flower graphic,” with the departments as petals surrounding EX as the pistil in the middle. Titles for EX leaders are all over the map and rarely include “employee.” Most of the people we heard from who are responsible for employee experience don’t have “employee experience” or even “employee” in their titles. We saw titles with “customer,” “innovation,” and “HR” in them, but in general, the only trend in titles was no trend at all. EX teams have long lists of responsibilities, but culture is king. Creating a customer-centric culture was the most common responsibility cited. This survey finding aligns with past data we have collected and is supported anecdotally by what clients tell us when we talk to them. And it makes sense if you consider that customer-centric culture is critical for sustaining great CX delivery over time and that so much of what goes into shaping a culture is connected to the daily work experience of employees. In addition, more than half of survey respondents told us they are also responsible for EX measurement, voice-of-employee feedback collection, customer experience, creating an EX strategy, and creating a more innovative culture. EX team resources are constrained: few people, fewer dollars. Most EX teams are small, with five or fewer members. Most teams either did not have a dedicated budget or had a small one, somewhere in the low six figures. Given the large amount of responsibilities these teams have, we do expect them to staff up in the next few years. There is far more data and detail on EX teams and leaders in the full report. We have included a number of graphics, as well, that will help employee experience leaders compare their own team and responsibilities with those of other companies. I’m particularly fond of the one that looks like a laser light show. Take a look.